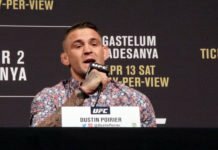 Kelvin Gastelum and Israel Adesanya will fight for the interim title at UFC 236 as they wait for undisputed champion Robert Whittaker to return from injury. Per Brett Okamoto of ESPN, Kelvin Gastelum will face Israel Adesanya for the interim middleweight title at UFC 236 on April 13 at a yet to be determined location. The move comes after current champion Robert Whittaker was forced to withdraw from his UFC 234 fight with Gastelum in Australia after suffering a hernia that required surgery. Whittaker was recently discharged from the hospital in Australia after a successful surgery however no timetable has been given for his return. 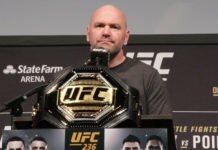 The UFC makes the move as Whittaker has not fought since June and the line of contenders at 185 continues to grow as Gastelum, Adesanya, Ronaldo “Jacare” Souza, and Paulo Costa are all making cases for a title shot. Gastelum (15–3 (1)) is currently on a two fight win-streak with victories over former middleweight champion Michael Bisping and perennial contender Jacare Souza. After the fight with Whittaker was scrapped at the eleventh hour, Gastelum had expressed that he was hoping to return to action by early summer if the champion was available. As it is unclear if Whittaker will in fact be ready by that time, the fight with Adesanya now gives him an opportunity to claim gold while also dispatching one of the biggest names in the division. 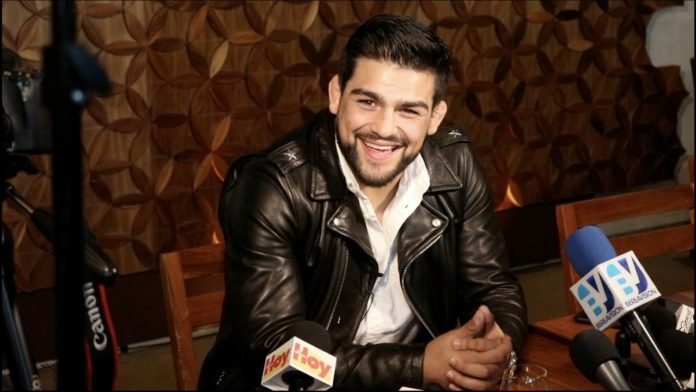 The fight will be Gastelum’s first in eleven months as he has not been in action since May of 2018. The undefeated Adesanya (16-0) has taken the UFC by storm as he put together four straight victories in 2018 to become the Breakout Fighter of the Year. At UFC 234, he was elevated to the main event where he faced pound-for-pound great Anderson Silva and won by unanimous decision. 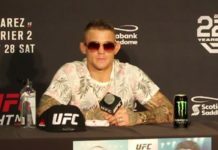 With a victory, he would draw even greater interest in a bout with himself and Whittaker as the fight between the two would be an easy sellout in either Australia or New Zealand, and even has the potential to headline a tentpole event in the US.